Friday morning I work Spork up and changed plans on him. I’d told him that he could sleep in because I had to run to the DMV. But it turned out I would be better off to run there in the afternoon so I drug him out of his restful sleep at 7:30 (I’d been up since 4am, so no sympathy was offered). 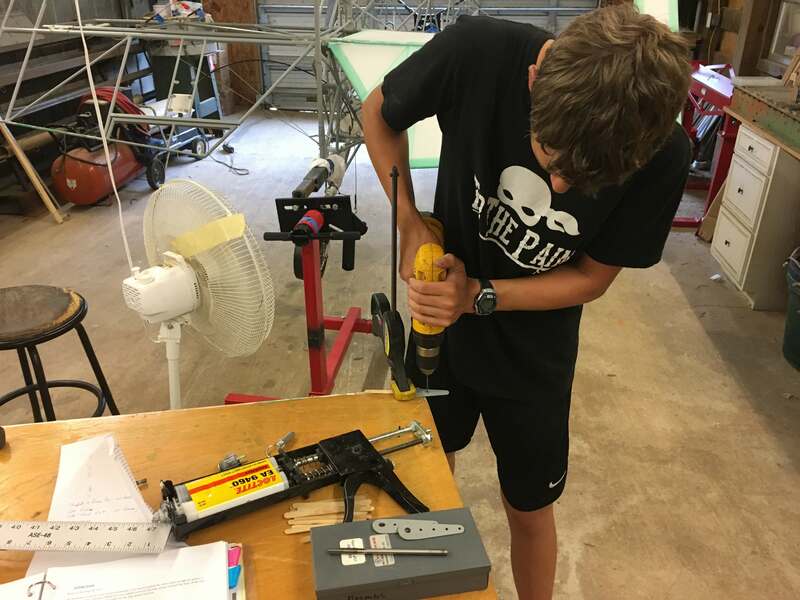 We only had a few hours to work on the airplane but we still had the other wing to prep and install for spar doublers. Plus we could now place the first wing in the rotating stands we’d built. With the wings swapped we went to work. There is nothing really optional or “doesn’t matter” on the tasks for this airplane. Sure, the fuselage stringers don’t HAVE to be perfect, but they will look weird once the airplane is covered if they aren’t shaped just so. However the bits that attach the wings to the fuselage? Those are important for looks and for not dying. We took our time on these. Although, as usual, we were able to more than halve the time doing things the second time compared to the first. Once we had the second set of doublers covered in HySol, we put them in place inside the spar and riveted them in place. We then cleaned up the squeezed out HySol and left the wing in place for the HySol to set up for the next 24 hours. Once the wing has set up, we then will place it in the second set of rotating stands, ready for its next bit of work. With the wing finished, and our time dwindling, I thought I’d take a few minutes to document what was next. We have a few weeks of not really working on the airplane, then we will be full bore for three full weeks. Cousin Cody is coming to stay with us and he is going to help as well so we’ll have three people full time working on the airplane. I hope to make some measurable progress, with the airplane mainly or completely covered by the end. I’m also planning on ordering the avionics in that time period and also ordering the firewall forward from Just. Basically all the parts should be arriving over the next couple of months. Money spent, then it will be up to us to get all the work done as soon as possible. Until then, here is what is next. I ordered my new ELT and it came in Friday. Next step on the airplane, after putting the second wing on its stand, is to install the ELT onto the tray and run the wiring. This is MUCH easier without the fabric covering in the way so best to get it done now. 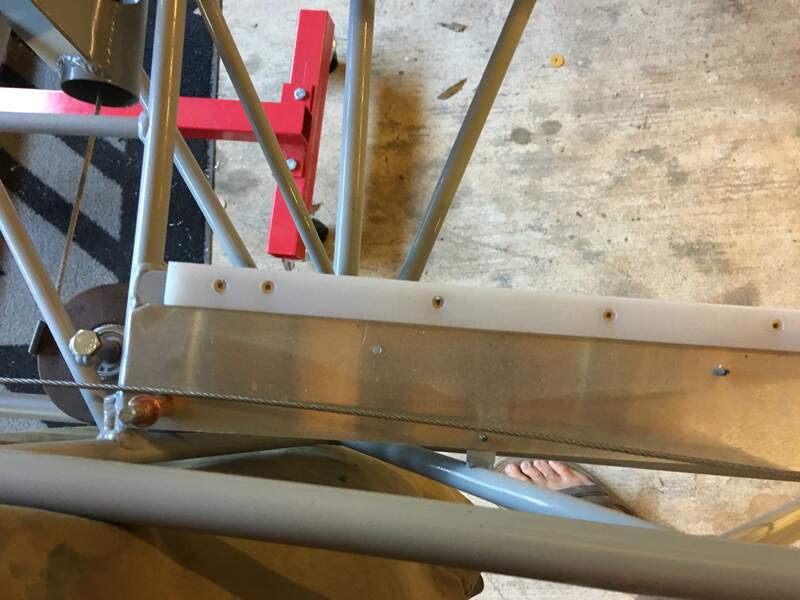 Once the wires are run for the ELT, then I need to tighten up the wiring and cables, properly securing them to the standoffs running along the bottom of the airplane. These will be MUCH easier to access now rather than later when the airplane is covered. 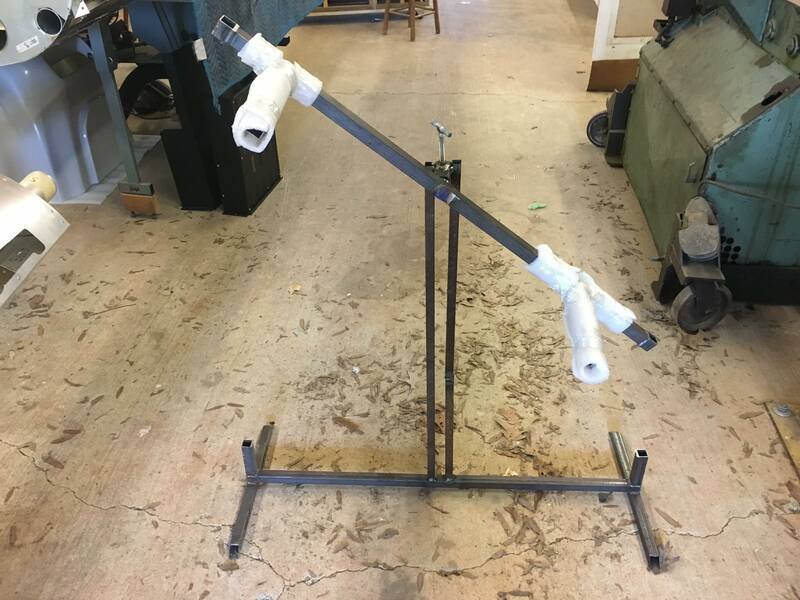 I also want to pull the tailwheel assembly and mount it in the mill. I ordered an optional tail wheel and it comes with its own non-drilled stinger. I need to drill these holes very accurately so into the mill it goes. Of course, I’ll need about an hour just to get the mill cleaned up, the entire shop is covered in sanding dust from the refinishing project ongoing in there. 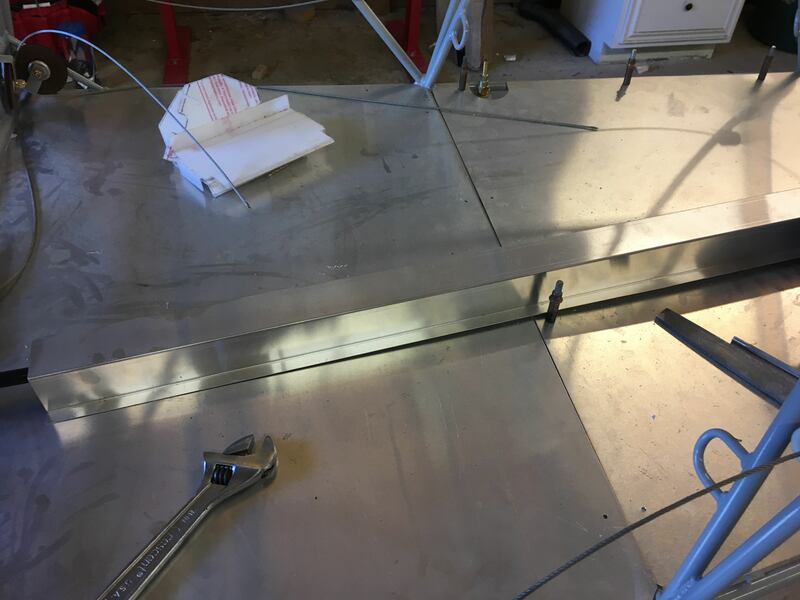 I’m checking with Robby, but it appears it is time to pull the clecoes and install the final rivets in all the floor panels. They are all cut to fit and ready to go. I also need to drill the push tube cover and cleco it in place. 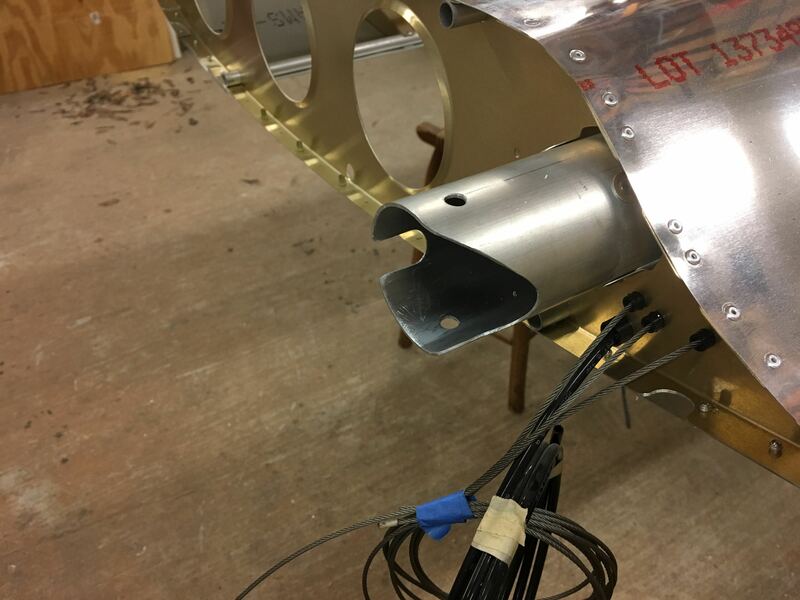 We may need to remove the push tube again at some point as we remove and reinstall the tail during covering. Having this still removable may prove handy. After riveting all the panels in the cockpit, We’ll take the cardboard and begin mocking up the panel, drawing or taping up places where avionics, switches, iPads, etc. will go. 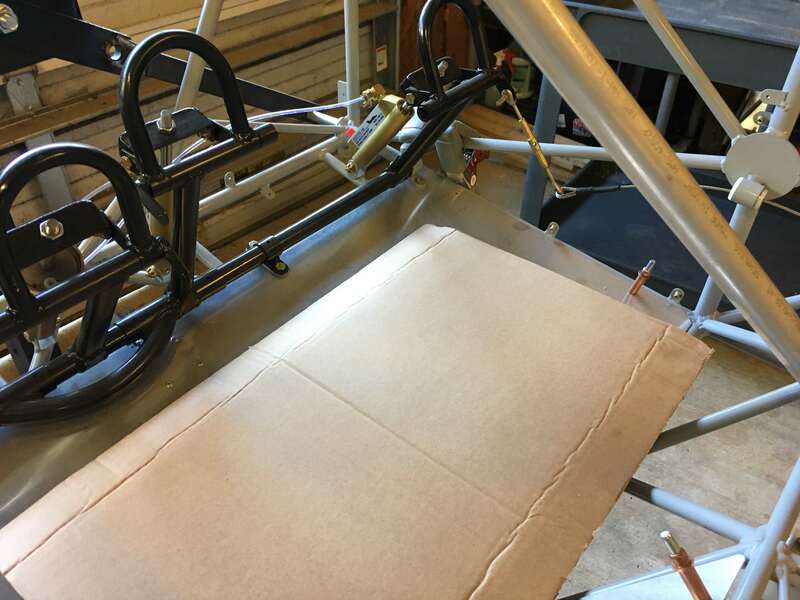 Once we have a good mockup, we’ll switch to lexan for the final mockups which will include cutouts. This allows us to see through the panel to see any conflicts of where the back side of a switch or instrument may hit a cross member or something else on the airplane. 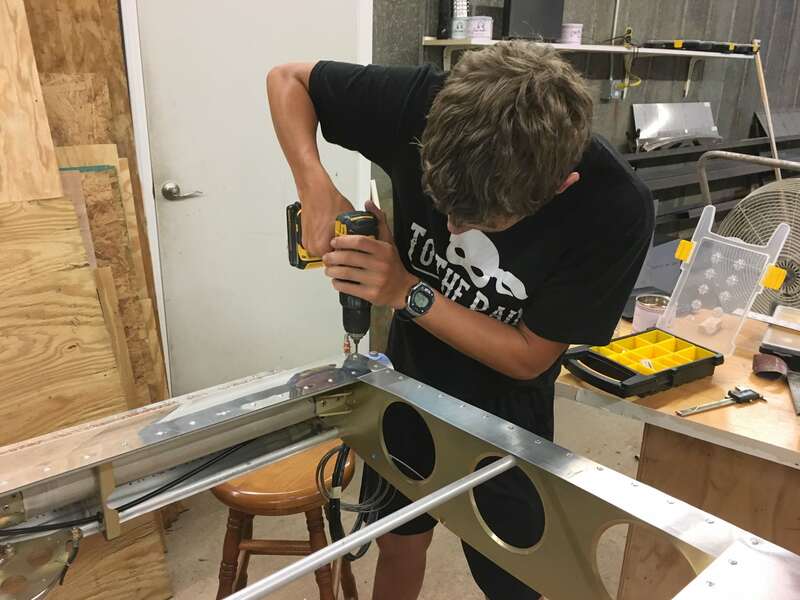 Once the lexan mockup is correct and perfect, we will use it as a template for cutting out the avionics panel. With an accurate template, the cutout itself shouldn’t be a big deal. Once the airplane is covered, it will be time to get paint on it. The covering is a material that breaks down in sunlight and the paint is what protects it. So once the covering is on, we need to get primer and then paint on it as quickly as possible to reduce any sun damage to the fabric. Part of spraying this paint is learning a new system and a new gun. Since I’m not a painter, I’m going to call Superflite and see if they can recommend a paint with a similar formula/flow rate that I could purchase for much less. It wouldn’t work for painting the airplane, but I could practice with it and get used to my new paint gun. Then a thorough cleanup and it will be time to paint for real. 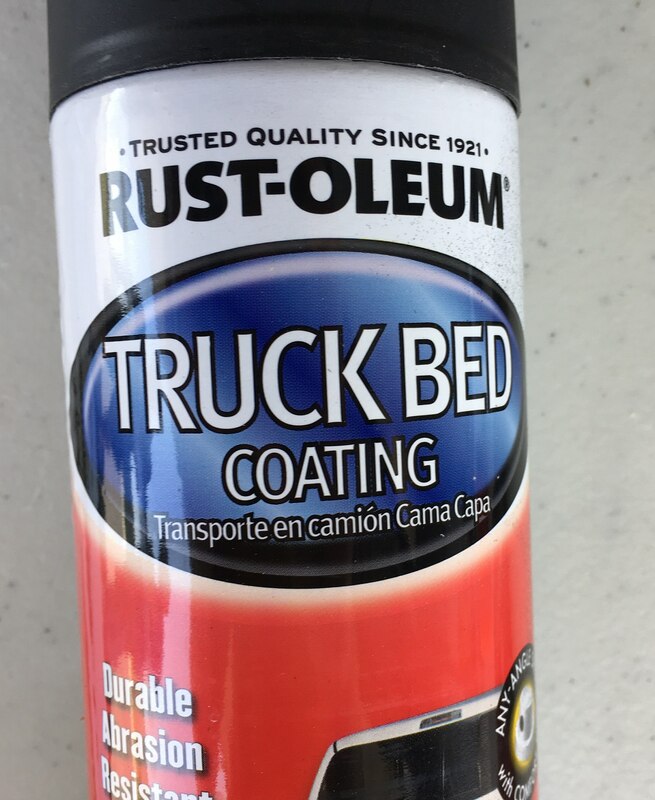 Speaking of paint, Robby shared with me his secret sauce for painting interior parts. Truck bed liner, from a rattle can. 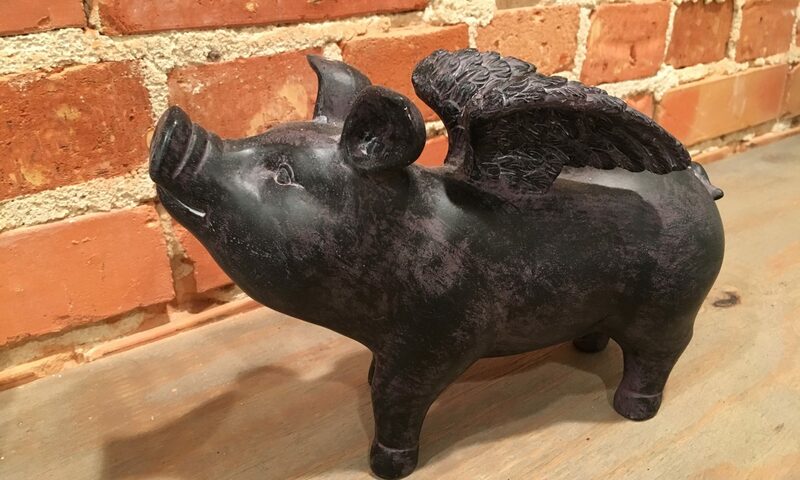 It gives a nice matt black finish, is tough, and is easy to apply. 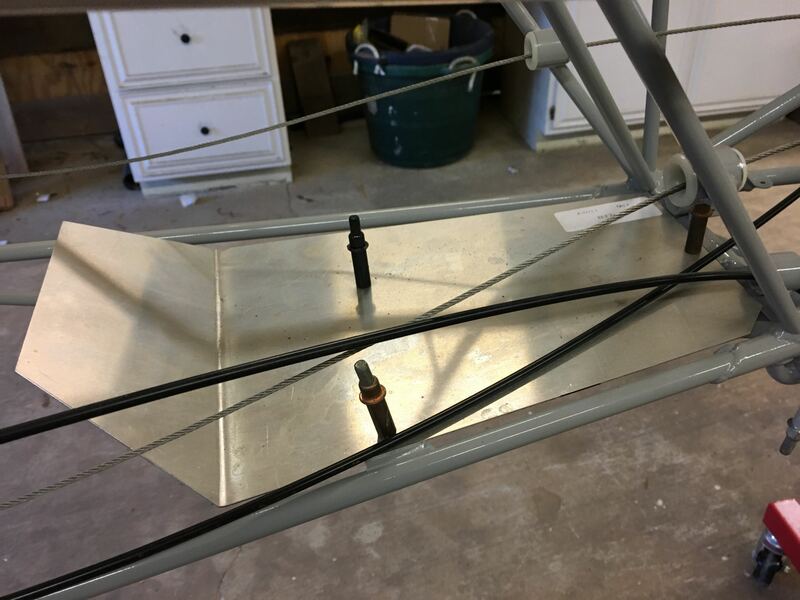 Since Experimental airplanes are never really done, especially when it comes to avionics, it is great to be able to just touch up paint or even make a new piece and shoot it really quickly with some rattle can paint. I’ll be picking some of this stuff up at Lowes. So order an engine, order avionics, get painting process dialed in, build a paint booth, oh and finish the airplane from firewall back. Piece of cake! I’m almost done.